Thrifty Thursdays have officially ended. Don't worry, I'll still be here to help you find great second hand goods but this time under a weekly post titled Garage Sale. Garage Sale will run on Fridays and feature finds from Craigslist, Etsy, and Ebay. Enjoy! The Fusion set retails for $299 at Ikea, but you can get it here for only $60! 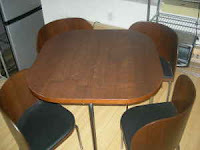 The chairs tuck under the table which is perfect for small spaces. What a bargain! 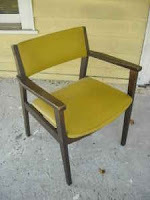 For just $20 you get a great mustard yellow chair that's perfect for use in a bedroom, home office, or foyer. It seems to be in pretty good condition too. I want this set. 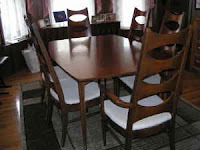 I love the vintage dining room furniture I already have but I just can't pass up these chairs...they're gorgeous! 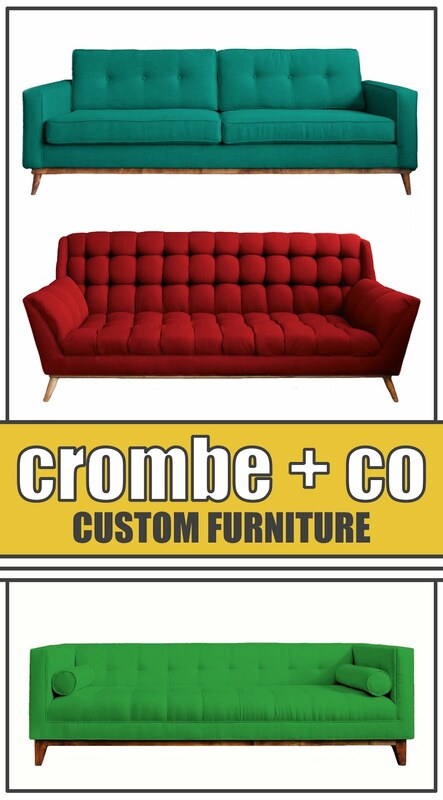 This sofa is great for any retro-inspired home. 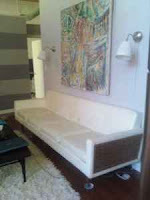 Coming in at 8ft long, it's sure to hold all your guests during the holidays. It's in pretty good condition for now but if you have the money (or the skill) you should probably reupholster it when you get a chance. Corner tables can be awkward when laying out a room but I think this one is worth the trouble! 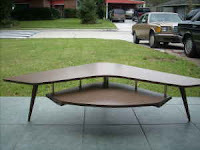 You could even use it as a coffee table if you have the room.